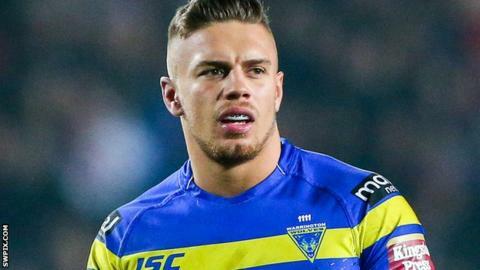 Warrington Wolves full-back Matty Russell could be out for the rest of the season with an ankle injury. He was hurt in the Wolves' Super League win at Castleford on Sunday and will miss Saturday's Challenge Cup semi-final against Hull KR. The 22-year-old Scotland international has featured in just 10 games so far because of a previous ankle problem. "It's a very similar injury to the last one, although it's the other ankle," said head coach Tony Smith. "We'll make a decision on whether we rehab for six weeks and see if it heals or operate and he'll almost definitely be back after about eight weeks." Russell missed the start of the campaign because of a facial injury sustained last year where he lost two front teeth.